Findlay Market Farmstand Is Freshening Up! You’ve seen the yard signs pop up around the neighborhood. You’ve driven by the huge white shipping container on the lot where the farmstand will be. You might have even stopped by on a Thursday evening in the hopes of picking up some fresh vegetables. Well, the wait is over! The Findlay Market Farmstand opens today from 4 pm – 7 pm! Look out for fresh, local produce as well as some meats and cheeses! WHRF and Findlay Market have been partnering to transform Firehouse Row into a weekly farmstand for the community. 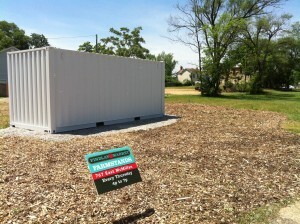 The shipping container arrived on June 2nd and wood chips were spread a couple days later. The space will continue to evolve over time, so look forward to future updates! The farmstand will be open every Thursday from 4 pm – 7 pm and a few other special days as well. We’re excited to announce that the Farm Stand will be a part of “Produce Perks.” Findlay Market is offering 2 for 1 incentive tokens to customers who use an Ohio Direction Card to purchase food. The incentive is a dollar for dollar match for up to $10 using an Ohio direction Card at the farmstand. Healthy food is for everyone! Hope you can make it! Bring a friend! If you’ve ever wondered what role Walnut Hills played in the abolitionist movement, the Underground Railroad and the work in the North to end slavery, the Harriet Beecher Stowe House at 2950 Gilbert Avenue has some answers. The childhood home of Harriet Beecher, later married to Calvin Stowe and the author of the seminal work ‘Uncle Tom’s Cabin’, this house still stands today as a museum and place of learning. It is owned by the Ohio Historical Society and operated by Friends of Harriet Beecher Stowe, Inc. The grounds are maintained by the Cincinnati Park Board. The Harriet Beecher Stowe House from Walnut Hills Redevelopment on Vimeo. Also, be sure to join us at our February Meet-up at, where else, the Harriet Beecher Stowe House! When Walnut Hills was annexed to the City in 1870, a private school for Black students was brought into the segregated Cincinnati Public School system. A new building was constructed and the school was soon named the Frederick Douglass School after the well-known ex-slave abolitionist spokesman. Starting in 1887, segregated schools in the Cincinnati Public School system began to be phased out in favor of an integrated school system. The last of these schools was Douglass, at the corner of Chapel and Alms, but it did not close. The school district faced pressure from the Cincinnati African American community concerned with high dropout rates in integrated schools and the rapid loss of teaching positions for African-American educators at all of the closing schools. So instead of shutting down, Douglass was rebuilt. While the new Douglass was open to all students throughout the city, it remained almost completely African American, and provided a prejudice-free learning environment. 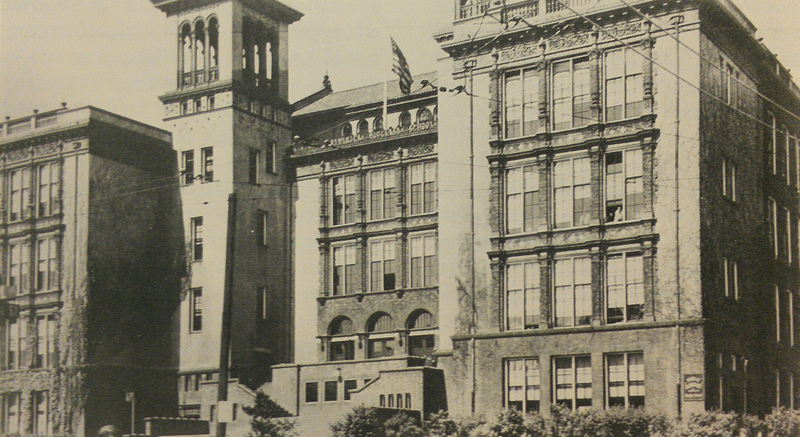 The school became nationally renowned, and a center for Walnut Hills community activities. Because it remained a largely segregated school, Douglass certainly had its critics in the first half of the twentieth century. Yet it existed in a time when integrated schools were not providing truly equal opportunities for Black students to learn, or for Black educators to teach. It stands as an important piece of African American history in Walnut Hills. Not only that, Frederick Douglass School (rebuilt in 2007 at 2627 Park Ave.) is still a vital neighborhood school and community gathering place. Douglass School faculty in 1914. Principal Francis M. Russell in center of front row. (source: Cincinnati Historical Society). Data Sources: Douglass School was prominent in history of segregated Cincinnati schools, Cincinnati Herald, February 2010, (http://www.thecincinnatiherald.com/news/2010-02-20/Section_B/Douglass_School_was_prominent_in_history_of_segreg.html); Walnut Hills City Neighborhood, Cincinnati Historical Society. Did you know that Walnut Hills was once the home of a renowned seminary headed up by Dr. Lyman Beecher, father of author Harriet Beecher Stowe? The Lane Theological Seminary, named after its first large donor Ebenezer Lane, was founded in 1828 by Presbyterians. It sat on land bounded by Gilbert, Yale, Ashland and Chapel Streets (map) in Walnut Hills. Today much of this land is occupied by Thomson-MacConnell Cadillac, but historical marker erected on Gilbert Ave. still tell the story of Lane Seminary. Dr. Lyman Beecher had a national reputation and Lane Seminary soon attracted top students from around the country. These students very quickly began to form anti-slavery societies and open classes up to Black students. Lively debates at the school ensued, and many of these activist students actually left the seminary when Seminary trustees attempted to quell what they felt were out-of-control student actions. Many of these “Lane Rebels” went on to play important roles in the anti-slavery movement across the country. 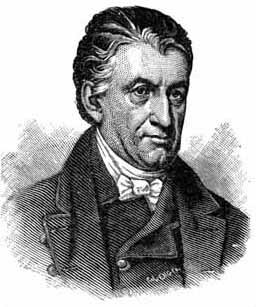 Nevertheless, Lane Seminary continued to have a consistently anti-slavery reputation, and an early Black settlement formed around the school. Lane did not discriminate against new Black residents as it leased out portions of its land for new homes. The Seminary stayed in operation for about 100 years, finally closing in 1931 and transferring students to McCormick Theological Seminary in Chicago. 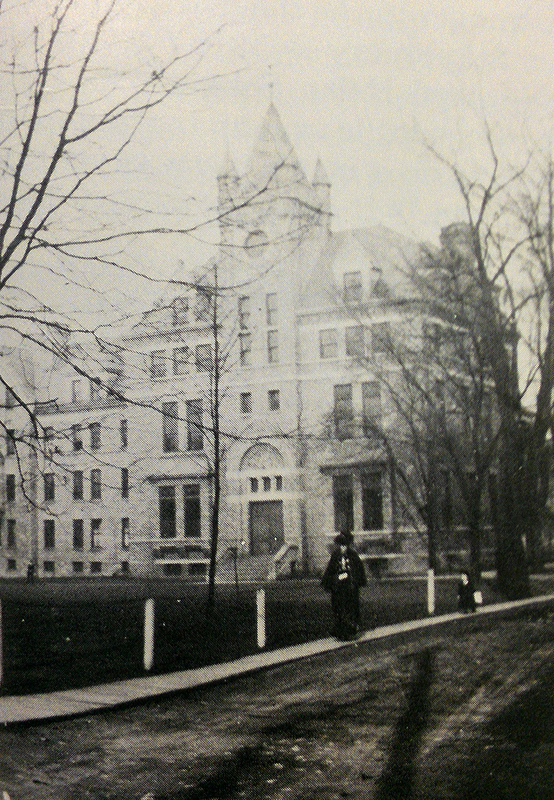 In addition to its work in establishing Walnut Hills as an integrated community, Lane Seminary and Dr. Beecher also brought Walnut Hills a national reputation as a center of learning.